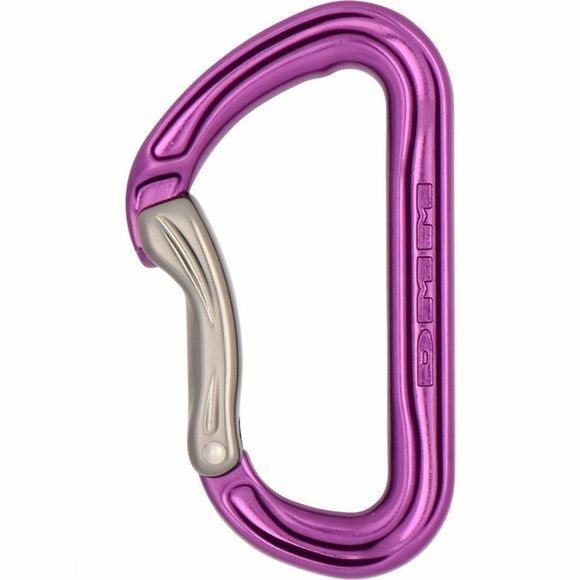 The Shadow Bent gate is a classic sport climbing biner. The I-Beam construction makes it strong and lightweight, whilst the clean nose profile reduces snagging. The inside of the biner also has a deep basket to ensure that the rope is guided towards the spine for added safety. This carabiner normally forms the rope clipping end of a quickdraw.